Garage door maintenance includes various safety checks so it can be the difference maker for the safety of the largest moving part of your house. Garage door maintenance doesn't require a lot of money or time. You can see it as an insurance policy for your door. While it may seem that the door is doing pretty well and does not require any attention, there are often hidden problems that need to be taken care of. So it is in the owner’s best interest to make an occasional call to the professionals so that they ensure that the door stays in the best condition possible. 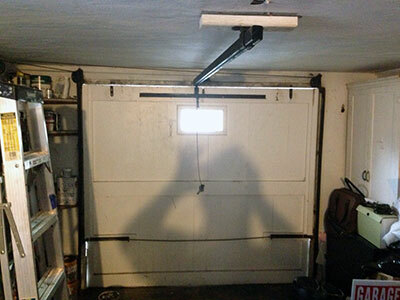 There were many accidents with garage doors back in the 80s, so that in 1993 a federal law requiring all openers must be equipped with safety sensors passed. These sensors make sure that the automatic door does not crush anybody or doesn’t hit an object on its path, which could destroy the object or damage the door itself, creating further problems for the owner. Noticing the fact that the sensor is not working can be rather hard and requires certain level of experience. There are several ways to check if the sensors are working. LED lights, metals, humidity and dirt could all be responsible for the non-operation of the sensors. They might need to be cleaned, dried, corrected or realigned. Obviously, all of the tasks mentioned require certain knowledge. There is always it won’t work, so it is important to remember to check the sensors again after trying to solve the issue. In case the issue isn't solved, turn to a professional service and have it fixed as soon as possible.